I feel that an assembly line in a factory would be emblematic of multiplicity. 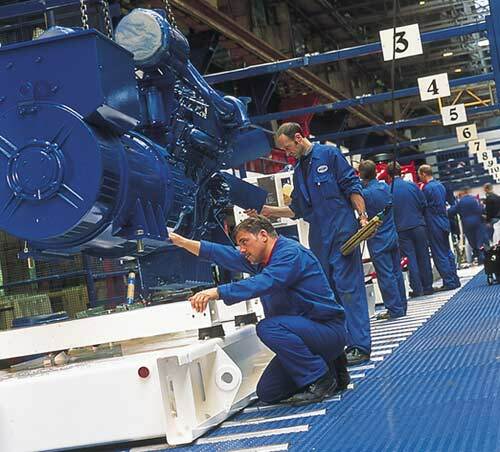 Each person, or machine, has their own job that is performed repeatedly all day. We see the whole, however. Not just the individual tasks. The creation of, let’s say, a car can be overwhelming. Just like a novel that continues on to what seems like infinity, a car could take days to make. It’s crazy to think it takes that long to make the car when hundreds are finished every day due to the speed of the assembly line. Multiple people working on multiple tasks creates multiplicity. There are not many pictures in White-Faced Bromeliads on 20 Hectares. In fact, the few pictures included are the main sources of color you see within the work. When you are on the poem page, it is simply 8 lines of writing. 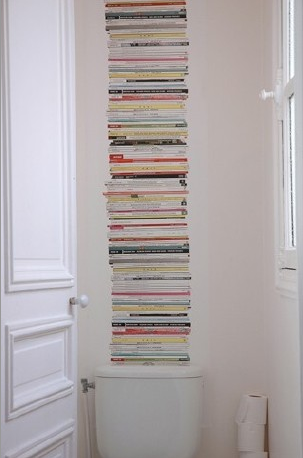 This creates a seemingly easier design. For this E-Lit work, I am focusing on rules and regulations as my graphic design element. The rules lie in the lines that must change automatically. The randomness comes about with the 512 possible combinations that can be made through the regular changing of lines. Rules imply that there is thought put into the work but randomness suggests the opposite, a bit of unknown excitement. Writers know what they put down on paper but don’t necessarily keep everything clear and concise. Multiplicity goes hand in hand with randomness, especially knowing all the possibilities of combinations, yet not being to read them all since the lines change so often the reader can’t keep up. My grandmother has the obnoxiously huge magazine collection. She does not realize that she is the only one who actually thinks they’re worth anything. The rest of the family thinks they just take up space. She refuses to throw any of them away. She claims that they will be worth some money some day, which is true to an extent. But when do you determine the best time to sell them if they always go up in value? That’s just it. She doesn’t sell them. They sit piled high in every room of her two-story Victorian-style home. You see, multiplicity is like my grandmother’s magazine collection because she just keeps letting it pile up, unable to part with any of it. I see it similar to Calvino’s discussion of Gadda who couldn’t focus his work into something concise. He wrote down his knowledge because he valued it and he loved to show how much he knew, even though everyone else did not feel the same. In this E-lit work by Loss Pequeno Glazier, I wasn’t quite sure what it was that the story was saying. For one, parts are in Spanish, very little of which I understand. Also, with unfinished sentences changing constantly, you’re never quite sure if you clearly get the message. It becomes a game trying to link the miss-matched sentences. This demonstrates Calvino’s quality of multiplicity in that there are many different things happening on the screen in front of you. It says so much, so fast that you don’t actually get the opportunity to read it. You can try, but understanding it is another thing. Calvino describes multiplicity as a quality of writing that seems to use infinite details and descriptions. He compares the contemporary novel to an encyclopedia, so filled with facts it hardly resembles a work of prose. “Whatever the starting point, the matter in hand spreads out and out, encompassing even vaster horizons, and if it were permitted to go on further and further in every direction, it would end up embracing the entire universe.” (Calvino 107). He refers to Carlo Emilio Gadda as a writer who puts everything into his work causing him to lose sight of the purpose of the novel and replace it with an encyclopedia of his knowledge. Thinking of multiplicity has brought a novel called Mr. Wilson’s Cabinet of Wonder (by Lawrence Weschler) to mind. A wonder cabinet is a type of museum for fascinating and unlikely things, usually thought to be fiction or exaggerations. 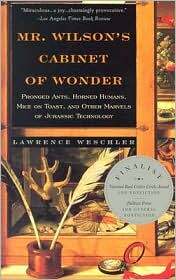 This novel explains the findings in Mr. Wilson’s wonder cabinet and gives scientific analysis. Half the time it was very much like an encyclopedia to me. Even though overall it was a good book, it could really drag along. We can lose the story in the mass of facts.